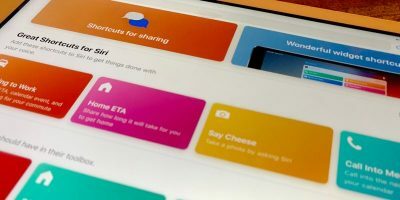 The iPhone’s Messages app isn’t perfect, but it’s mostly inoffensive. There is one thing, however, that drives me up the wall: the “woosh” sound on sent text messages. Sure, it’s utterly unreasonable to be so annoyed by something so small, but I am not the only one! 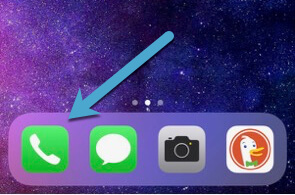 If you, too, hate the outgoing message sound on your iPhone, you can disable it without jailbreaking or hacking your device in any way. The multi-step process required to turn off the outgoing message sound on your iPhone is detailed below. It’s a little convoluted, but if you follow along, you can finally gain freedom from the annoyingly whimsical wooshing of Messages. 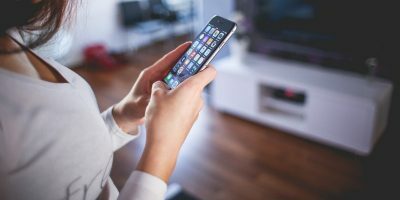 Because the iPhone does not distinguish between outgoing sounds and incoming message sounds, we have to first disable all sounds associated with Messages. 1. 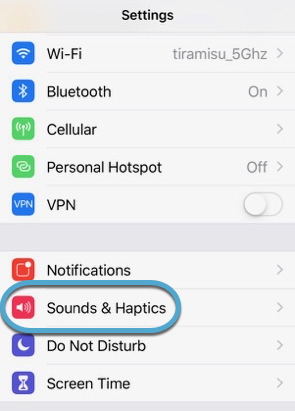 Open “Sounds & Haptics” in the Settings app. 2. 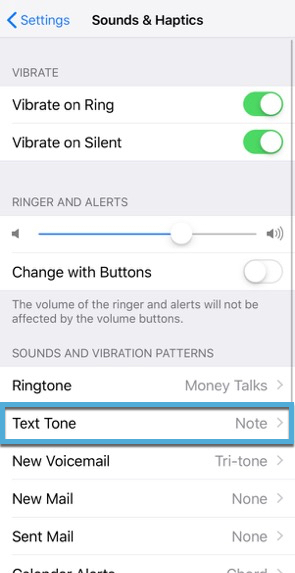 Tap “Text Tone” to open the interface for changing the messaging sounds. 3. Choose “None” from the top of the list. This will not disable vibrations, but it will disable the sound for all contacts. Of course, simply silencing Messages completely isn’t much help. If that were the only solution, it wouldn’t be much better than silencing your phone completely. 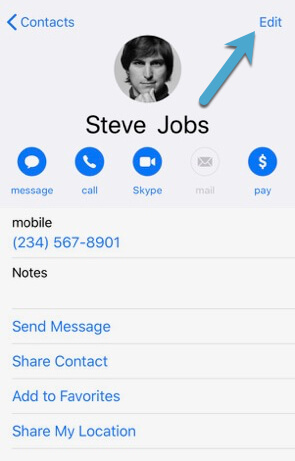 To re-enable incoming message alerts, you’ll need to set personal text tones for each contact in your phone book. The only way to do this is manually, and there are no bulk tools that actually make it easier. 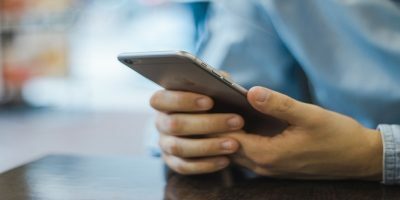 The best way to prioritize contacts is to go through your list of recent text messages. 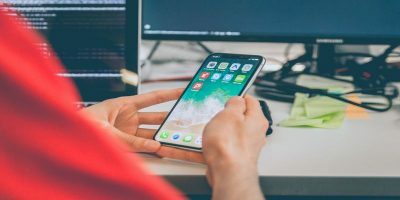 Fortunately, as long as vibration is on, you will get at least a tactile alert, and maybe a small audible alert depending on the surface your phone is sitting on at the moment. 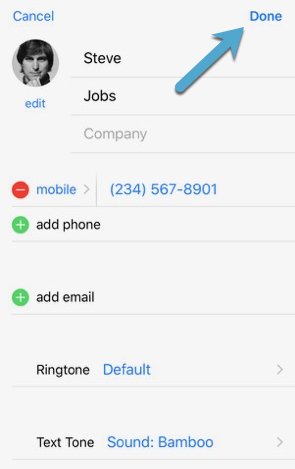 To set custom text tones for your most important contacts, follow the instructions below. 1. Open the “Phone” app. 2. Tap the “Contacts” tab at the bottom. 3. Tap the contact you want to edit. 4. 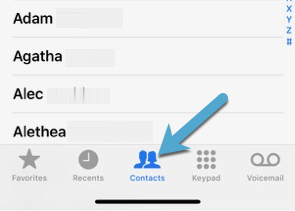 In the contact’s detail page, tap “Edit” in the upper-right corner. 6. 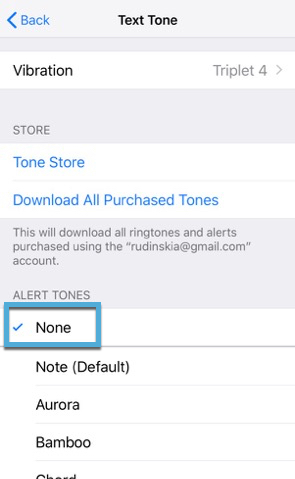 Select the tone you want to hear when an incoming message arrives and tap “Done” to confirm. This will only play on incoming messages from this particular contact. 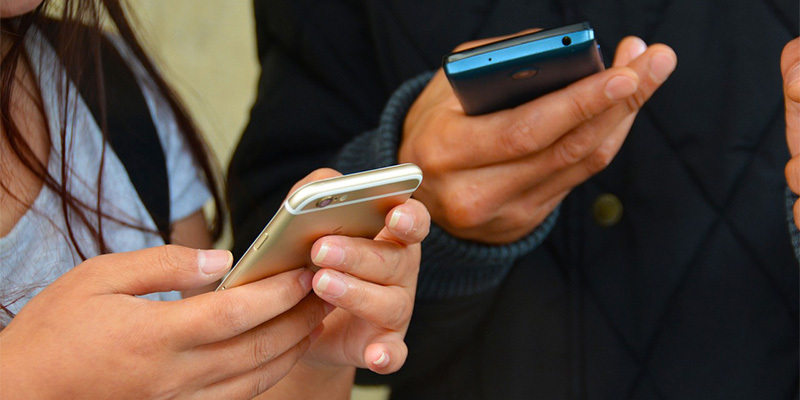 It won’t affect other contacts, and it won’t affect your outgoing message sound effect. 7. Tap “Done” again to save your changes. 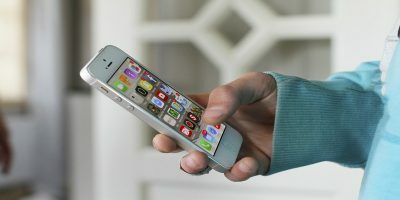 If you get a text message from a contact with no custom text tone associated with them, your iPhone will only vibrate to alert you of the new message. The default vibrations aren’t very noticeable or powerful. Fortunately, you can set custom ones. 2. 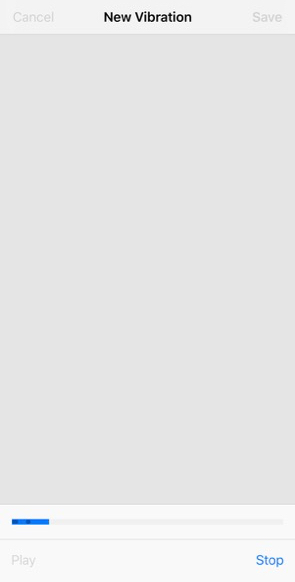 Tap “Sounds & Haptics” to open the tones menu. 3. 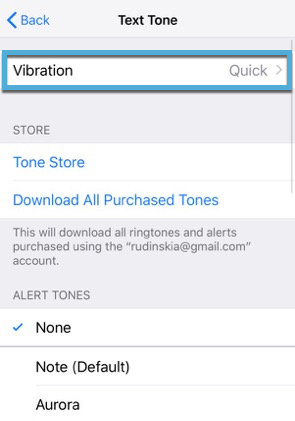 Tap “Text Tone,” which should say “Vibrate” next to it. 6. Using your finger, tap out the vibration pattern on the screen. Holding your finger on the screen will create a continuous vibration, while tapping it will create a short vibration. 8. Tap “Save” and name your completed vibration pattern. 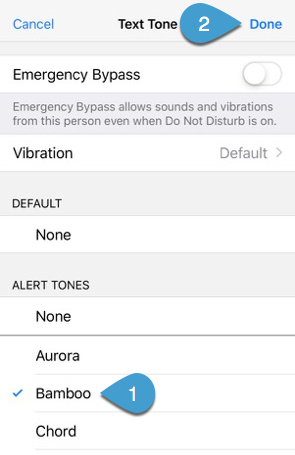 It will be automatically set as the text alert vibration pattern when you’re done. Apple makes a lot of design decisions for the user. Most of these decisions can’t be changed. 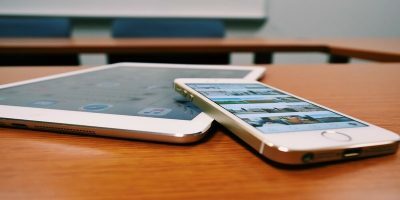 Either you like the way Apple thinks and you therefor like their products, or you don’t. In this case, we have the rare opportunity to override an Apple design choice. 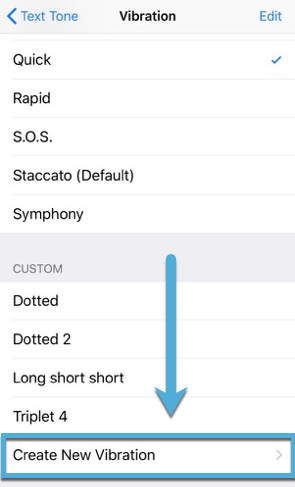 While it’s needlessly complex, it does accomplish our goal of disabling the outgoing message sounds on your iPhone.